[A] couple weeks ago while enjoying some epic trail time with a good friend Matt. I rarely have blister issues but five miles into a 17 mile run I had created a whispering hot spot on the outer edge of my right heel. By mile seven, it was rather annoying. I tried various lacing adjustments, readjusted my socks, looked for a boulder positioned at the back of the shoe…nothing provided the continuous relief I was looking for. After a brief regrouping at our vehicles, I dug through my run bag looking for some Body Glide or tape…nada. 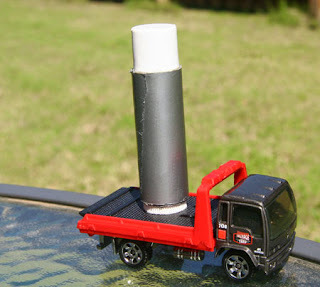 Fortunately, Matt dug though his center console and found an old tube of a lip therapy product. I gave it a try and rubbed a bit of the lubricant on the tender hot spot and my foot enjoyed the final 10 miles without any discomfort. Niiiiicccee! That would be a tube of lip therapy wrapped in a length of duct tape. Very clever. I carry athletic tape in my trail running kit, so I've got half the tip already implemented. One trick I use is to take a clean doggie poop bag (weighs nothing to carry), make it into a dish-shape, and pour water into it, holding the bag in place while she drinks. I have also dug a small hole or indent in the ground, and placed the bag over that. The water pools in the hole, held in place by the bag, and she drinks from there. I can then cover the hole back up and move on. Maybe this one is obvious to dog owners, but I was impressed. Read the whole article here: 12 Reasons Handheld Bottles Are Better Than Hydration Packs. Now, getting your cell phone to cough up sunrise and sunset time is pretty trivial. Just Google for it and you'll get an instant answer. But, GPS Test works its magic without requiring a network. And because I've got T-mobile, pretty much anytime I'm out in the woods, I expect to be without signal. 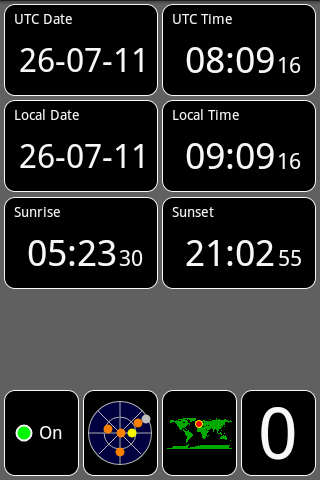 As long as I've got my phone, I've now got a good sense of how much daylight I've got left. Whether that will help me to actually turn around or not is another story altogether.